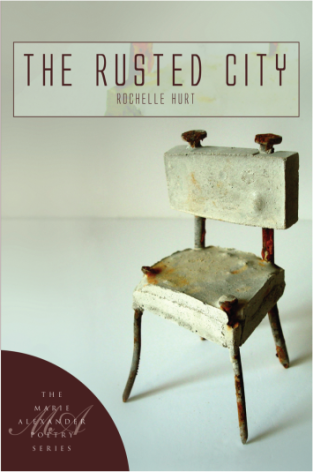 The reader enters Rochelle Hurt’s lost kingdom through an empty chair. Her cover illustration, Sharon Pazner’s “Throne,” is a doll-sized, kitchen-chair construction of concrete and bent, tarnished nails that might guard a parking space in any American Rust Belt city. Delicate and tough, homely and haunting, it is a near perfect metaphor for the world Hurt recreates from rough materials and memory. Hurt’s impressive debut is a full-length collection of prose poems mixed with free verse (the eighteenth volume in the Marie Alexander Poetry Series). It reads like an extended fairy tale, a modern version of an old-fashioned story in which rust/blood, fear, and pain leave trails on the road to rebirth. Her recurring characters—The Quiet Mother, The Favorite Father, The Oldest Sister, and The Smallest Sister—are archetypes into which the poet breathes harsh individual life. … When he touches her, she is as old as the city that closes around them like a fist. 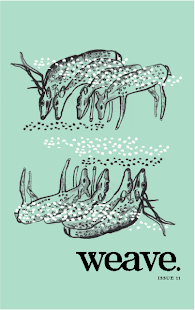 … the roller coaster is folded in half, a writhing lattice… gangly as a giant insect… its corroded arms are crossed already—the death pose, the smallest sister knows. … A layer of rust floating like algae on the water begins to break up. As he wades, his legs part one red island, making another. Soon there are too many rust islands to count, and the river is a mottled red-brown. … The ring is heavy as a marble in the smallest sister’s hand, and heavier every minute… The quiet mother picks chips of rust from where the ring had hugged her finger and blows on it like something too hot, sending a storm of red to the floor. cast through them like runes. inside all the hollowed-out fathers as they walked. will be brilliant. Her body will shine like a city inside.